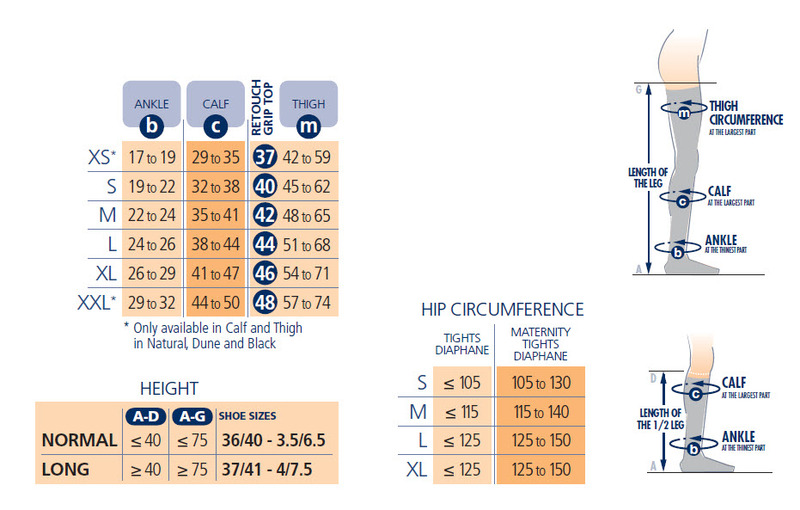 SIGVARIS DIAPHANE Compression stocking/hold ups are for women who want therapy in fashion form. Thigh length self supporting stockings with silicone grip-top band which provides comfort by allowing air to circulate, while keeping product in place. Natural, Dune & Cinnamon are available in Open Toe.